Life for our beneficiaries is often a hand-to-mouth existence. 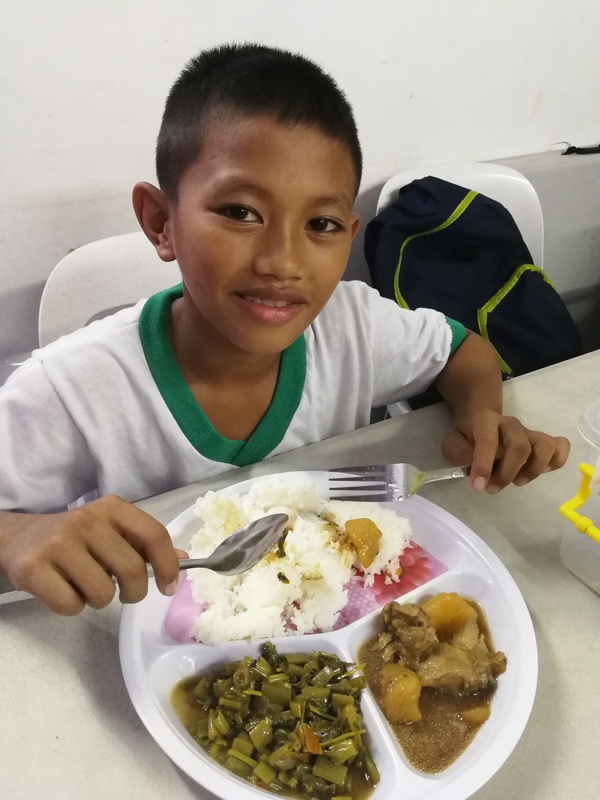 Families often, due to lack of money, are forced to eat the leftover food from fast food restaurants and consequently when the children are enrolled into school they are already severely undernourished. We have expanded our community kitchen enabling us to feed our school students and vulnerable adults in the community. £7.50 a month over a year will feed a child hot nutritious meals for six months. £30 will provide an emergency food parcel for a family. Families often survive on one or two small meals a day consisting mainly of rice. We provide nutritious meals or food parcels to the sick and those in hospital and any families who are in a crisis. A crisis could mean a death in the family, hospitalisation, or a family member too ill to work, and heavy winds and rainfall making it hard for families to earn their daily income. Community volunteers work in the kitchen on a rota system, they have all been trained in food preparation, safety and hygiene. Our volunteers prepare the students meals ready for collection at 11am through to 3pm. As a thank you we provide the kitchen volunteers with a free meal and a weekly allowance of rice. We truly appreciate our supporters, without YOU we cannot help our incredible beneficiaries. We are happy to provide reports detailing how your donations are spent.